Tomato chutney is multi-purpose chutney, which can be used as a accompaniment and a spread. I make it as a accompaniment with dosa, idli ,Vadas. It can be served with puri, paratha or roti as well. I make vegetables sandwiches also by using this tomato chutney as a spread and its very tasty. Following recipe is made using tempering, but it can be made without tempering as well. It has very good shelf life and can be used for 3-4 days. Try this recipe of tomato chutney and post feedback in the comments section. Wash and chop tomatoes and make paste of garlic. Roast peanuts and keep aside. Heat pan and oil in it. Once oil gets hot add garlic paste in oil and saute. Add chopped tomatoes in oil and saute till tomato gets translucent. Let it cool and grind fried tomatoes , roasted peanuts and tamarind pulp in grinder to get fine paste. After oil getting hot add cumin,mustard seeds, asafoetida in it and add ground tomato mixture. Add water as per required consistency and cook tomato chutney for 5-6 minutes. 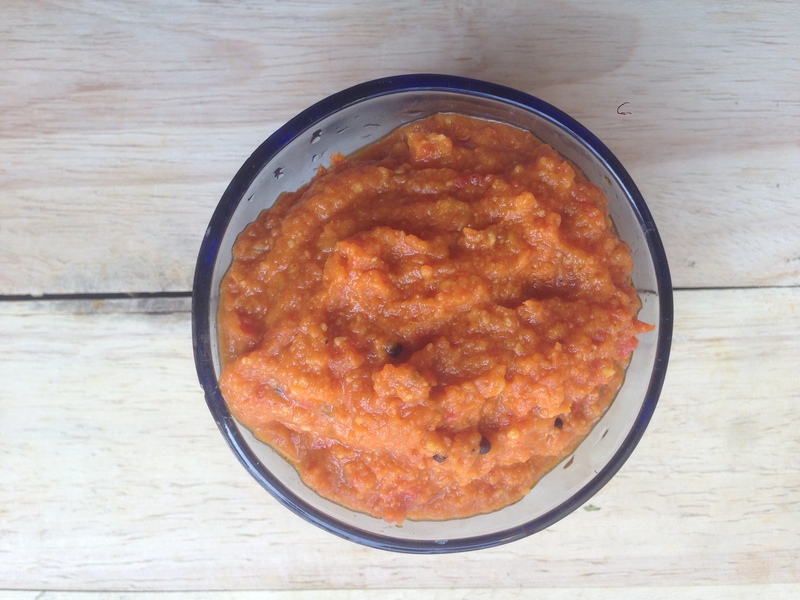 Serve tomato chutney with idli/dosa or puri. Great topic! I usually only read them if they are free.I actually missed Hana! I was planning to read it but my week was kinda hectic and I forgot.. And the promotion expired yerytsdae. Oh well..